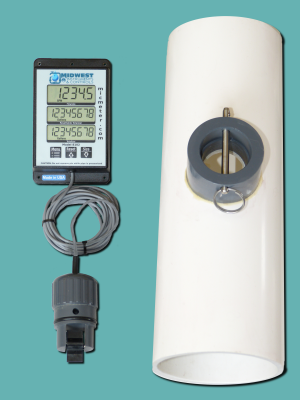 Pipe mounted flow meter with Remote Display supplied with a 13″ long section of ¾” schedule 80 PVC pipe. 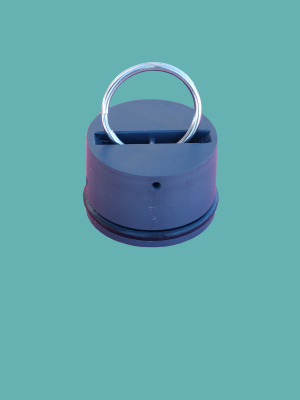 Compatible with both schedule 80 and schedule 40 piping. The plug, listed below, allows the flow to be restored while the meter is removed for cleaning or servicing. Fast and Free Shipping. 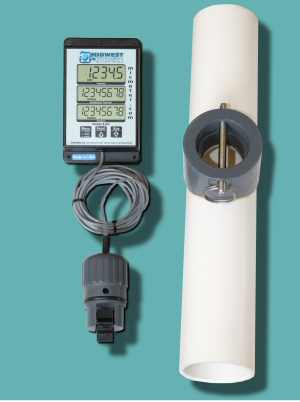 Flow meter equipped with Remote Display supplied with a 13″ long section of ¾” schedule 80 PVC pipe. The flow rate range for this meter is 2 GPM up to 30 GPM. Battery life will be ~ 2.5 years with 5′ of cable and ~ 1 year with 15′. Two, standard AAA batteries, can be replaced with a small Phillips screw driver in less than 5 minutes. Please read the Installation Notes, it is a quick read that will bring you up to speed on flow meter selection and location selection. Also consider purchasing the optional plug, the plug allows the meter to be removed for cleaning or servicing. Battery Life greater than 1 year. 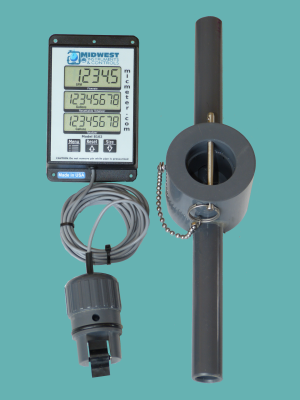 Pipe mounted flow meter with Remote Display supplied with a 13″ long section of 2″ schedule 40 PVC pipe. 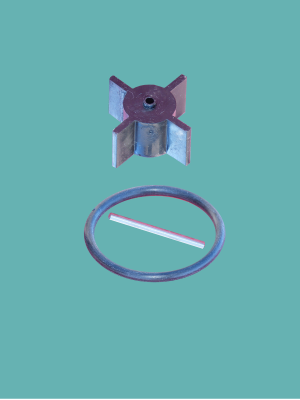 Compatible with schedule 40 piping. The plug, listed below, allows the flow to be restored while the meter is removed for cleaning or servicing. Fast and Free Shipping. 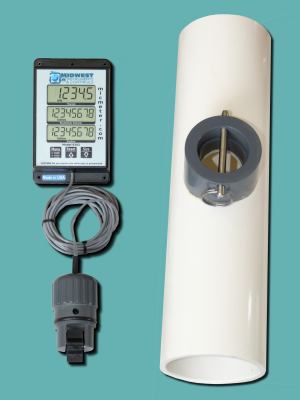 Pipe mounted flow meter with Remote Display supplied with a 13″ long section of 2″ schedule 80 PVC pipe. Compatible with schedule 80 piping. The plug, listed below, allows the flow to be restored while the meter is removed for cleaning or servicing. Fast and Free Shipping. 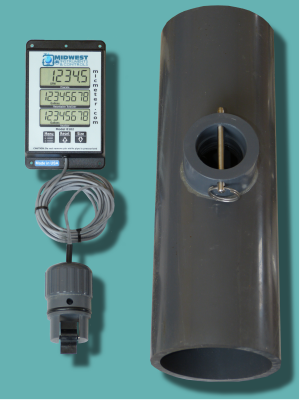 Pipe mounted flow meter with Remote Display supplied with a 13″ long section of 1½” schedule 80 PVC pipe. Compatible with schedule 80 piping. The plug, listed below, allows the flow to be restored while the meter is removed for cleaning or servicing. Fast and Free Shipping. Pipe mounted flow meter with Remote Display supplied with a 13″ long section of 3″ schedule 80 PVC pipe. Compatible with schedule 80 piping. The plug, listed below, allows the flow to be restored while the meter is removed for cleaning or servicing. Fast and Free Shipping. 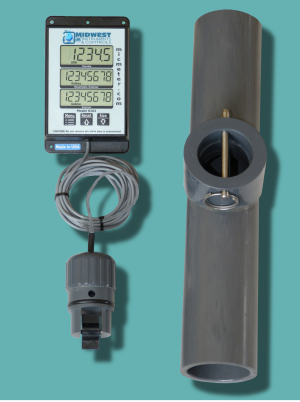 Pipe mounted flow meter with Remote Display supplied with a 13″ long section of 3″ schedule 40 PVC pipe. Compatible with schedule 40 piping. The plug, listed below, allows the flow to be restored while the meter is removed for cleaning or servicing. Fast and Free Shipping. 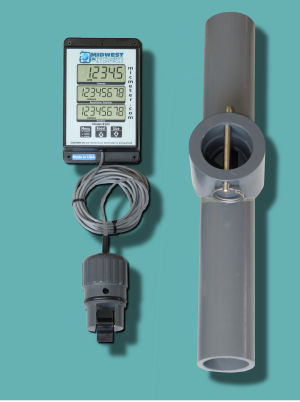 Pipe mounted flow meter with Remote Display supplied with a 13″ long section of 4″ schedule 80 PVC pipe. Compatible with schedule 80 piping. The plug, listed below, allows the flow to be restored while the meter is removed for cleaning or servicing. Fast and Free Shipping. 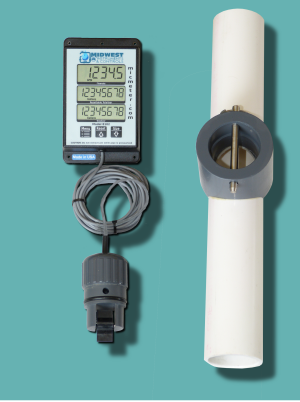 Pipe mounted flow meter with Remote Display supplied with a 13″ long section of 1.½” schedule 40 PVC pipe. Compatible with schedule 40 piping. The plug, listed below, allows the flow to be restored while the meter is removed for cleaning or servicing. Fast and Free Shipping. 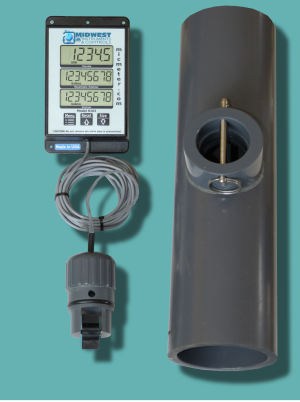 Pipe mounted flow meter with Remote Display supplied with a 13″ long section of 4″ schedule 40 PVC pipe. Compatible with schedule 40 piping. The plug, listed below, allows the flow to be restored while the meter is removed for cleaning or servicing. Fast and Free Shipping.